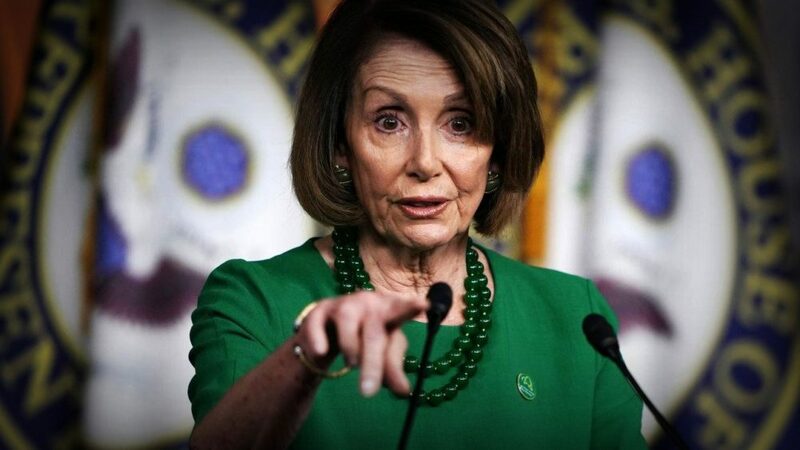 House Speaker Nancy Pelosi reached an agreement with opposition forces inside the newly Democrat-controlled House of Representatives by voting to limit her tenure as party leader in an effort to retake the Speaker’s gavel . The tentative deal stipulates that term limits would be placed on the top three leadership posts in the lower chamber, which encompass the Speaker of the House, Majority Leader, and Majority Whip, and possibility committee chair positions. The impetus behind such a drastic shift in party rules is presumably Pelosi’s desire to ameliorate the internecine conflict that her long tenure has caused within the Democratic Party. Prior to this agreement, approximately 20 Democrats swore to oppose her bid for the speakership on the January 3rd floor vote for the position . Despite having near the entirety of her party support her return to the post, Pelosi has elected to implement these rule changes by going as far as to adhere to them whether they are formally adopted or not. The establishment has been lauded by incoming freshman and increasingly more junior rank and file members of Congress who feel that the old guard has suppressed opportunities for advancement. It’s also drawn the ire of more senior members such as Representatives James Clyburn and Frank Pallone Jr. who expect to enter the positions of Majority Whip and chairman of the House Energy and Commerce Committee respectively. The use of term limits has been criticized for putting a legislator’s focus on re-election instead of productive policy, with the Democrats already showing signs of division, only time will tell if adding a rotating leadership will help or hurt a party in recovery. A week prior to the 2018 midterms the Congressional Black Caucus Chairman Cedric Richmond issued a letter demanding an African-American serve in one of the House’s top two leadership posts, either as the Majority Leader or Whip, in the event the Democrats took the House back. Following the results of the 2018 election, James Clyburn has retaken his post as Majority Whip, leaving the top two positions for Congressman Steny Hoyer and Pelosi herself. Congresswoman Marcia Fudge announced her challenge to Pelosi’s reign, which was seen as a protest by the CBC for the maintenance of the status quo. Fudge soon endorsed Pelosi upon the promise that as Speaker she would resurrect a defunct House committee on elections installing Fudge at the helm . Many members of the CBC have shown aversion for the sudden talk of term limits given the effect that it may have on the potential for Black leadership. Cedric Richmond in a statement to “The Hill” commented, “And generally for African Americans, the frustrating thing is every time we get to the point where we’re making significant progress, the rules change,-”. The vendetta here is progress vs. prejudice. Nancy Pelosi’s leadership has been unchallenged due to her unparalleled fundraising capabilities and her political fastidiousness, but now that African American members of Congress are gaining access to leadership and committee chair roles the party seems all too eager to vote in favor of term limits incensing some prominent members of the CBC. Nancy Pelosi has regained the Speaker’s gavel with the alliances formed through this agreement and has pushed the term limit floor vote to February. The term limits will limit House leaders and potentially committee chairpersons to 3 terms with a majority vote along with a maximum extension to a fourth term which would require a two-thirds vote. Additionally, the term limits will be retroactive, meaning Pelosi and Clyburn’s previous terms from 2007-2011 in the leadership will count towards their 4 term maximums. The antagonism brewing within the newly blue House is not putting the party on a path to unity. In the wake of a conservative Executive, Senate, and Judiciary, the House will be vital in countering majoritarian rule. If term limits are implemented, the rotation of older members such as Pelosi may allow up and comers such as Rep. Hakeem Jeffries and other Democratic firebrands to make House policy more representative of a changing America. Inversely, they could place all the leaders’ attention on re-election and make the legislative process vulnerable to partisan infighting. Foregoing term limits would cause leadership to remain entrenched in the hands of those whose advocacy may not adhere to the needs of contemporary America. The current system also makes it difficult for rank and file members to access leadership or chair positions notwithstanding all of their gained experience during time served in the House. The discussion of term limits should be discontinued unless it was applied as a general House rule. This vote comes at an inopportune time for many Black members of Congress who are just now coming into positions with considerable authority. Term limits may have the benefit of cutting a bad reign short but they also have the disadvantage of disabling a productive one, most importantly it undermines democratic principles of a favored leader terms out of office. Term limits have been floating around the beltway for decades and it has not been until now that Democrats have taken such a move seriously. While jovial from prevailing in the House, a fresh new crop of female and minority candidates, and 2020 on the horizon, the Democratic party needs to prevent further fractions and consolidate if they have their eyes set on the most important house in Washington.